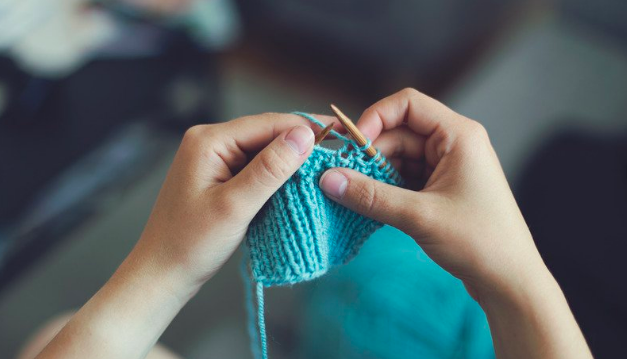 There is no doubt about the mental benefits that come from tasks such as knitting and crafting. 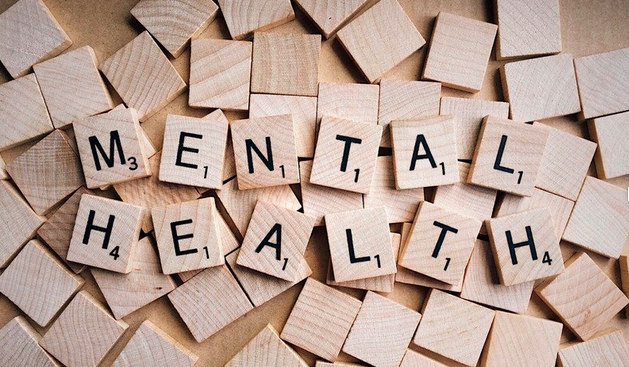 Last May, The Indpendent delved deeper into the benefits by writing, “Knitting can reduce anxiety, depression, chronic pain and slow dementia.” Furthermore they found that knitting “can ultimately save the NHS millions of pounds” by promoting mental and physical well being. Whenever I run an arm knit workshop there comes a point in the two hour session where all goes quiet. Deep mindfulness takes over as each person, for a brief time, are at one with the task in front of them. Vanished are the mobile phones, social media, news distractions and even conversation. The quiet peace of knitting takes over where for a few brief moments all goes silent. The quiet can be quite disarming as we are uncomfortable sitting without the chatter of noise clammering within and around us. The silence inevitably breaks with someone acknowledging how wonderful knitting is for mindfulness and mental peace. The last listed benefit, reduction of isolation and loneliness is so vitally accurate. I’m always amazed by the initiative made by solo people to book onto one of my chunky knitting workshops. So often many arrive alone, unsure of what to expect and a little apprehensive of sitting among others that may know one another. I’m always quick to take note of who these individuals are, so that I may make greater effort at getting to know them, chat to them and make them feel at ease. I’m naturally a shy person and would be hesitant to try new things on my own, so the people that come out to these workshops always seem so brave to me. The power of sitting among other like minded people, whether you know them or not, is astounding. For two hours strangers sit amongst one another carrying out a very independent activity, yet the power of just sitting with other people is palpable and makes you feel like you’ve accomplished much more than knitting a blanket by the end of the workshop. Knitting for the novice, particular arm knitting, becomes an exercise of concentration and focus. Learning the new tasks of moving stitches and loops from one arm to the next encourages our brain to work in ways unfamiliar to it. So often the dominant arm picks up the momentum so much more readily than the weaker. The mental awareness tasked upon the brain to spring into action as it is challenged to undergo activities not usually asked, makes for a fully mindful opportunity. For a brief time the mind and body are working in complete unison without the distraction of our demanding lives that today require constant mulit-tasking and are incumbent upon sensory overload and hyper stimulation. 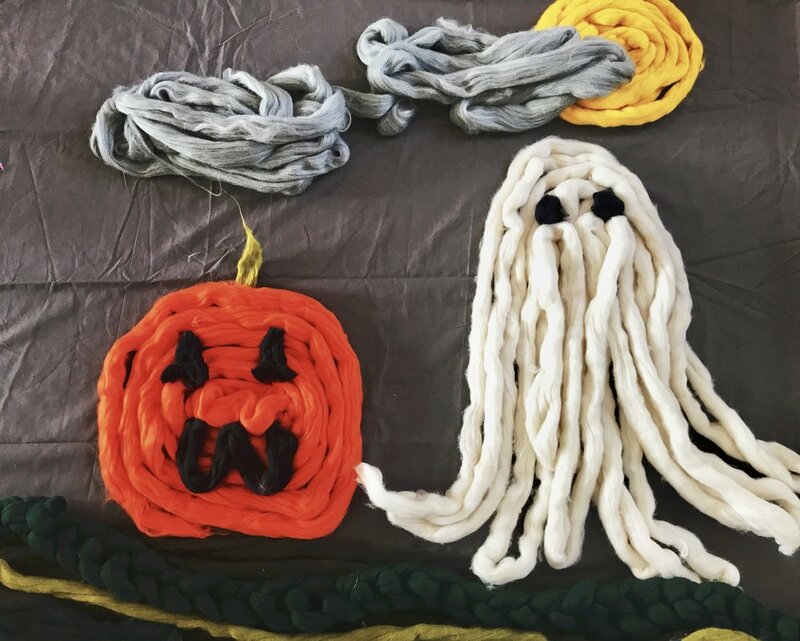 It’s easy to see the multiple benefits that activities such as arm knitting can bring to the workplace and demanding environments we live in today. Furthermore, I love the inclusiveness of workshops such as arm knitting. It simply is a task that EVERYONE can do. Young, old, people with disabilities, men, women, children everyone, can participate. It’s a mental and physical activity that doesn’t require the toughest of bods or years of skill acquisition. Anyone can simply roll up to a class and participate successfully. What’s not to love about that? Until next time, stay healthy and enjoy the quiet. Okay anyone who knows me, knows that I’m a freak about Halloween. It’s a Canadian thing. In North America we pretty much prepare for October 31st 4-6 weeks in advance! After an hour or so of much needed work this morning, I shall be turning Bank House into a spooky haunted Georgian House in prep for tonight. Stay tuned to my insta stories for updates! The days have been flying by and I often feel like I’m being tugged in a million directions. I’m busy - with EVERYTHING. It’s a good thing indeed, and the growth The Chunky Needle has experienced has been incredible. On top of knitting all those new chunky blankets and cushions for The Country Homes and Interiors show at Stonor Park on November 22, I’m taking new orders daily and am still running wonderful workshops meeting loads of new people and having so much fun. Next up was the wonderful Meggie’s in Stow-on-the-Wold. This was my third workshop at this lovely little Cotswold Lifestyle shop and I thoroughly enjoyed it. I’ll next be at Meggies on November 17th for a Christmas wreath workshop. Click HERE. So as the calendar flips to another month - a very VERY busy month. You shall find me knit knattering with my chunky needles, and making as many chunky blankets, cushions, scarves, ugh as possible. I love it so much, I just hope you all do too. Please come on out and see me at Stonor Park. Would love to meet you! Have a great Halloween everyone! Stay safe.